The other day a GP tweeted at me that there was "no role for pharmacology" in the treatment of obesity along with an #LCHF hashtag. I can only presume she believes low-carb high-fat diets are the global panacea that everyone needs, and that those not adopting and succeeding with them are personal failures. And hers isn't an isolated viewpoint, nor is it one that's relegated only to the #LCHF crowd as I've heard from other non-LCHF hashtagged physicians that forks and feet are what's required, not medications or surgery. But those viewpoints tend only to be extended to obesity, not to any of the literally dozens of other chronic, non-communicable diseases, that lifestyle may prevent or treat, and so yes, while useless truisms like eating less and exercising more would help people to lose weight, and while #LCHF would help some too, it's bias that has obesity as the sole medical condition that people feel comfortable proclaiming that medication (or surgery) has no role in treatment. Clinically useless truisms aside, obesity is complicated, and moreover we have yet to discover a non-surgical, reproducible, sustainable, and uniformly effective plan for the management of obesity. And while there's no argument about the fact that in a ideal world everyone would take it upon themselves to live the healthiest lives possible, there are two problems with that argument. Firstly, not everyone is interested or able to change their lifestyles, and secondly, statistically speaking, the majority of even those who are interested and successful with lifestyle change will ultimately regress. Is it lazy to want to improve your quality and/or quantity of life? Because for many that's what the treatment of obesity would do, and that's true for pharmacologically assisted weight loss and surgical weight loss too. And yes, sure, it'd be lovely if everyone had the very real luxuries of possessing the health, time, money, and inclination to regularly and genuinely exercise, cook, and life broadly healthful lives everyday, forevermore, but except in the minds of those filled with dripping I can do it and so should you lifestyle sanctimony, that's simply not the case for a large percentage of our real life population. Ever wonder if you're biased against people with obesity? Have you ever stood in line behind someone with obesity at the supermarket and judged them on the basis of the items they were pulling out of their cart? Or behind someone with obesity at a fast food place and judged them on the basis of their order? Now ask yourself if you have, or would have, similarly judged a thin person pulling out those same items or making that same order. And it's worth noting, there's no good answer here. If you answered, no, you wouldn't have judged a thin person similarly, well that reflects weight bias. And if you answered, yes, you'd be judging them the same way, well that reflects you judging people on the basis of things that are none of your business. Everyone's life is complicated, and moreover, food plays roles far beyond fuel and serves as comfort, as celebration, is one of life's most seminal pleasures, and it's not for anyone to judge anyone else on the basis of their choices therein. John Ioannidis, in JAMA, on the incredibly flawed foundations of nutritional research and dietary recommendations. Given subscribers here are likely interested in nutrition, I believe this to be an important enough read that I don't want to recommend you read anything else. If A Woman With Obesity Is Denied Fertility Treatment, Does She Have Grounds To Sue? It is a fairly common practice for fertility clinics to deny treatments to women with obesity. The rationale presented usually references the increased risks posed to both mom and fetus consequent to mom's obesity. And indeed, there are increased risks in pregnancy in women with obesity including of gestational diabetes, preeclampsia, prolonged first stage of labour, increased instrumental deliveries, shoulder dystocia, macrosomia (big babies), congenital anomalies, and C-Sections. But here's the thing, there are plenty of pre-existing conditions that women seeking fertility treatments have that confer comparably increased risks, and yet those women are not denied access to treatment, instead they are counselled about those risks, informed consent is obtained, and treatment is provided. Couple the above with the fact that there simply are no gold standard non-surgical means by which women with obesity can ensure they'll lose weight, and that denying fertility treatment to women has been shown to negatively affect self-esteem, social isolation, anxiety, and depression, and I can't help but wonder whether there are grounds for a lawsuit? Grounds that have been made that much stronger by the recent publication of the Canadian Fertility and Andrology Society's recommendations on obesity and reproduction which spell out all of the above (minus the legal question), and which are well worth a read by women with obesity seeking fertility treatments. Two new studies are bound to disappoint those who still want to believe water makes a difference in weight management. 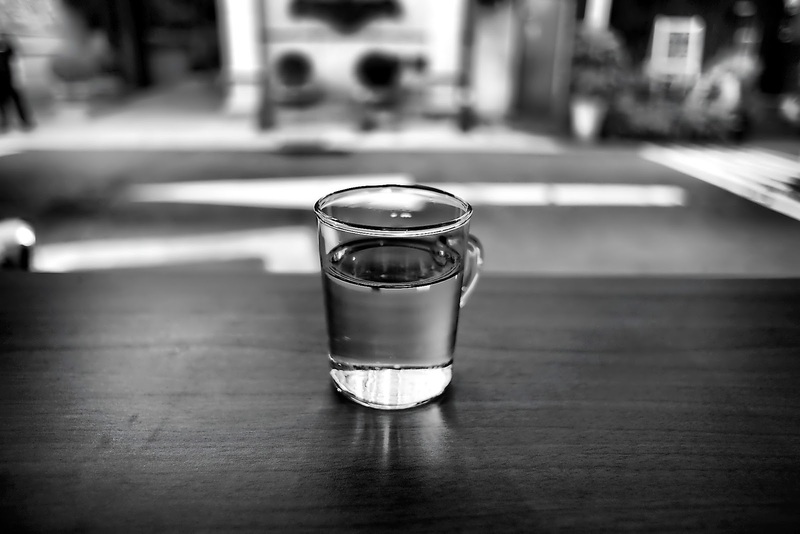 The first of these studies, Increasing water intake influences hunger and food preference, but does not reliably suppress energy intake in adults, asked participants to drink 500, 1000, 1500, or 2000ml of water in the morning before an all you can eat lunch buffet to see if doing so reduced how much people ate. The researchers found that even drinking 2L of water before lunch didn't reduce how many calories were consumed at the buffet. The second, Complementary and compensatory dietary changes associated with consumption or omission of plain water by US adults, compared the self-reported dietary intake patterns (which you should know aren't generally thought to be be reliable) of individuals who had days recorded with and without water intake to see if there were a difference in calories reportedly consumed. There wasn't. As to how pervasive the belief that water is a key player in weight management, you might be surprised by how many people I meet in my office who believe water drinking makes or breaks an effort, though when you consider the fact that 63.4% of adults in a recent US survey of weight loss practices cited water drinking as one of theirs, maybe it shouldn't be all that shocking. In my mind the only thing that's surprising is that I would have thought it to be fairly self-evident, that water drinking was an incredibly minor player at best, because if drinking 8 or more glasses of water a day contributed even moderately to successful weight management, we'd see a great many more success stories walking around. 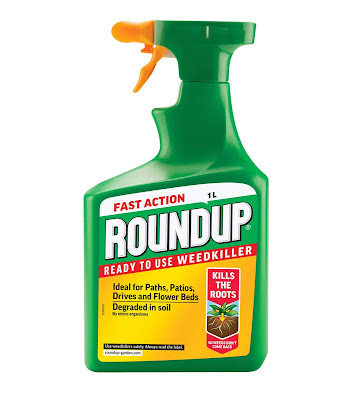 Robert O'Conner, in Medium, with his expert thoughts on glyphosphate (RoundUp) and cancer. Andrew Kniss, in his blog, with his expert thoughts on glyphosphate and cancer. Lynn Johnson, in National Geographic, with an incredible story about Katie Stubblefield's face and life. Study Finds Giving Prebiotics To Kids Doesn't Change Their Energy Intake And Ups A Major Hunger Hormone Yet Still Concludes Prebiotics Have Potential To Help With Childhood Obesity? Today will be discussing a study that had kids randomly assigned to taking either 8g oligofructose enriched inulin (prebiotic) per day or placebo (maltodextrin) for 16 weeks. The study's pre-registered primary outcome measure, as recorded in ClinicalTrials.gov, was change in baseline fat mass at 16 weeks. Secondary outcome measures (as recorded) were changes in baseline appetite at 16 weeks (assessed with visual analog scales and an eating behavior questionnaire), and objective appetite measures including a weighed breakfast buffet, weighted 3-day food records, and serum satiety hormone levels. According to their 3 day food diaries (but be aware, food diaries are notoriously inaccurate), there was no difference in 3 day energy intake between the prebiotic and placebo arms. When all ages were included in the analysis, there was no difference in all-you-can-eat breakfast buffet energy intake between the probiotic and placebo arms, BUT, by dividing the kids into those between the ages of 7-10 and 11-12, suddenly, but only in the older group, kids ate less breakfast in the prebiotic arm, while in the younger group, they ate more. The hunger hormone ghrelin was found to be significantly elevated in those taking the prebiotic (an increase of 28%) from baseline, whereas placebo was not demonstrably different from baseline (an increase of 8%). There was no difference reported in subjective eating behavior questionnaires between groups, but parents reported improvements in fullness, but equally in both prebiotic and placebo groups. The primary outcome of change in baseline fat mass was not mentioned anywhere in the study. "This simple dietary change has the potential to help with appetite regulation in children with obesity"
I also found it surprising that the study was free to read, and given the incredibly unexciting findings, it's more difficult to imagine the authors paying for its open access. 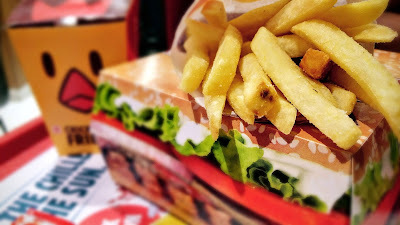 Easier to imagine the company that makes the prebiotic that a randomized controlled trial published in an impactful journal explicitly concluded, "has the potential to help with appetite regulation in children with obesity" (even though it didn't), paying the extra fees as open access articles generally gather more citations. 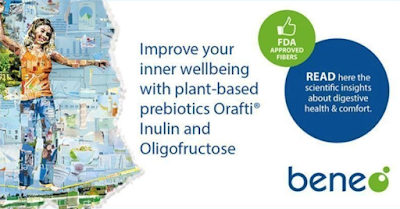 "The intake of 8g of prebiotic inulin (Orafti Synergy 1) in a glass of water prior to dinner is a simple dietary intervention that supports children in their weight management efforts. 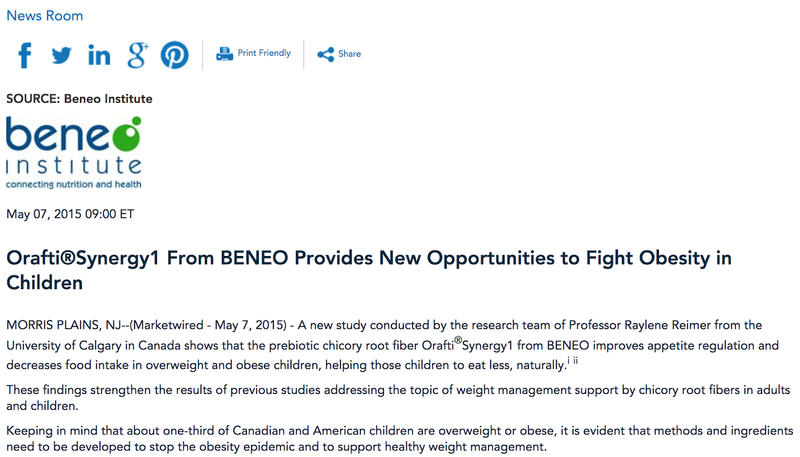 The results show that they were naturally eating less (YF: no they didn't) than the control group having maltodextrin"
Beneo also put out an excited press release to publicize the study. And you can bet your bottom dollar, it's studies and conclusions like this one that supplement companies use to suggest great benefits to their products, and it's also studies like this one where I wish the journal employed open peer review as I can't fathom how this one got through as is. 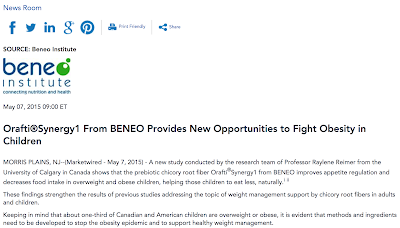 Lastly, while the authors didn't report any conflicts of interest with this particular study, the supplements and placebos were provided by Beneo, and it was noted that one of the authors had previously enjoyed funding from Beneo. Unfortunately there is no mention as to who paid for this study's open access. Timothy Caulfield, on NBC think, on the uselessness of multi-vitamins for all (happy to find this story for reader Pug Piper). 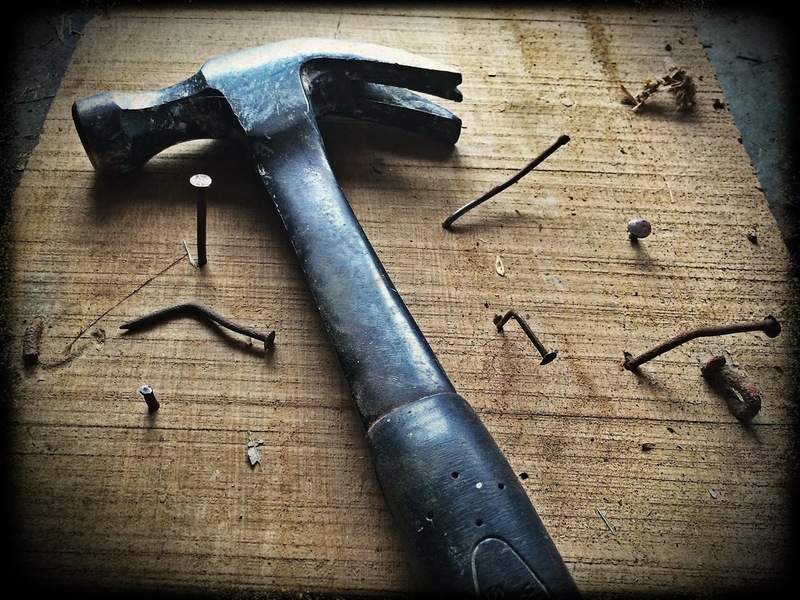 Jen Gunter, on her blog, with her combined personal and professional take on menopause. Laurie Penny, in Longreads, covers Jordan Peterson, the intellectual this generation deserves. 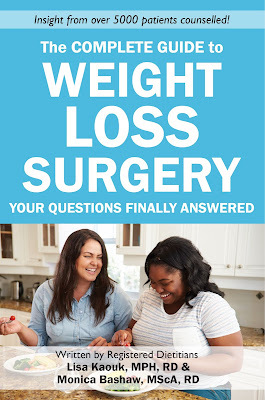 Thinking about weight loss surgery? You’re not alone. Bariatric surgery has been shown to be one of the most effective treatments for obesity and the number of people who undergo the procedure is steadily rising every year. Here at BMI, I work with many different clients. Some are considering bariatric surgery, others are actively preparing for it, and still more have undergone the procedure and are adjusting to life with a new anatomy. 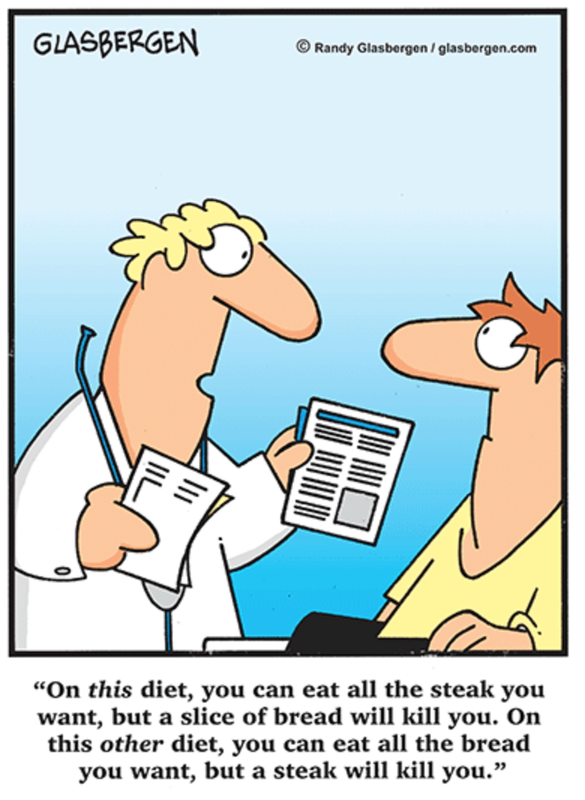 At every stage of the weight loss journey, it helps to be well informed. It’s from a trusted source. The registered dietitian (RD) credential means that Lisa and Monica are trained in the science and physiology of human nutrition. Their training and practice is regulated in much same way as that of our doctors and nurses so you can rest assured that the recommendations they make are tried, true, and grounded in evidence. Written in a conversational style, the book is an easy and entertaining read (or at least as entertaining as a book about a surgical procedure can probably be). There’s no jargon and you won’t need a degree in medicine or nutrition to make sense of the topics covered. Because the topics are drawn from the real life concerns and questions of more than 5000 patients, the book provides an honest glimpse into the realities of life after WLS. 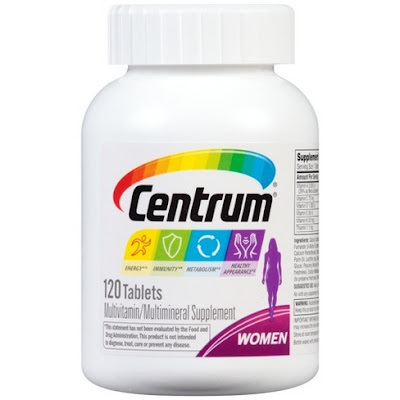 It’s a useful reference, not only for those who are considering WLS and those who have had it, but also for the friends and family who are their cheerleaders and support system. Much like this post, it’s short, sweet, and to the point. You won’t need to set aside hours of time to get through it. My only critique is that the authors don't provide much information on additional resources, support groups, or further reading. It’s good to be aware of what’s available. Obesity Canada, for example, functions as a resource hub for professionals and lay people alike. In addition to educational webinars and videos, they also link to tools you can use to access greater health benefits for obesity care. The Bariatric Cookery, run by food writer Carol Bowen Ball, hosts a wonderful collection recipes to try at every stage of the WLS journey. As a former WLS patient herself, Carol’s first-hand experience lends the site a level of authenticity that is hard to top. Finally, a quick search on Google or Facebook will undoubtedly reveal a whole host of virtual WLS forums and support groups. Find one that resonates with you. The Complete Guide to Bariatric Surgery is available for purchase on Amazon. It’s also available as an e-book at www.baritricsurgerynutrition.com. 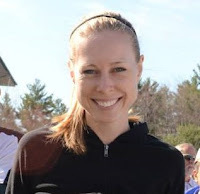 Alex Friel, MSc, RD is a nutrition science nerd and one of the newest dietitians to join the BMI team. She’s convinced that everyone has a passion for food (even if they don’t know it yet) and is always on the lookout for her next favorite recipe. Alex spent six years living in Atlanta, Georgia where she completed a BSc and MSc in Nutrition Science at Georgia State University. Much to the chagrin of her dinner guests, she also gained an appreciation for collard greens and okra that persists to this day. Have You Been, Or Are You, On A Diet? Please Take 2 Minutes To Review This Brief Survey About How Easy Or Difficult It Is/Was. Back in 2012 I first posted my wish for there to be a questionnaire that would serve to help individuals and researchers determine how easy or difficult a particular diet would be to follow. I called it the Diet Index Enjoyability Total or DIET score, and my hope was that by using a series of simple Likert scales (descriptive scales from 1-10), researchers could set out to evaluate a particular weight loss approach's DIET score where high scores would identify diets that could actually be enjoyed, and where low scores would identify under-eating, highly restrictive, quality of life degrading, dieting misery. This would be useful both to individuals who could use the DIET score to evaluate whatever approach they were considering, but might also serve as a surrogate for shorter term diet studies to give a sense as to whether or not there's a low or high likelihood of long term adherence to a particular study's strategy. I'm happy to report that the first work on using the DIET score has been conducted by Michelle Jospe at the University of Otago in New Zealand as part of the SWIFT trial, and her and Jill Haszard's early look at the data is promising. Part of the process required to validate a questionnaire involves a qualitative review to see whether or not it's easy to use, comprehensive, and unbiased. UPDATE: .....we did it! Thanks to everyone who already clicked! We've collected a sufficient number of responses. Do stay tuned though, because in the next rounds of data collection we'll be looking to explore DIET scores from those who are both doing wonderfully on specific diets, as well as collecting information about those diets people couldn't sustain and we'll need every response we can get! Now I can't imagine it's a commonplace practice, but yesterday the Wall Street Journal published a piece about parents hiring coaches to help their children gain skills and level up in Fortnite, a first person shooter video game. 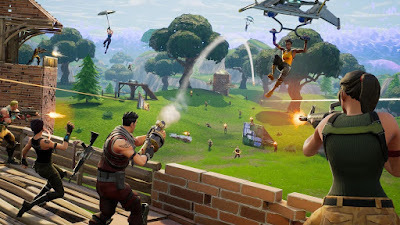 Dare to dream of an alternate universe, where instead of hiring their children video game tutors, parents hired coaches to help teach their kids life skills like cooking, making and keeping a budget, or critical appraisal. 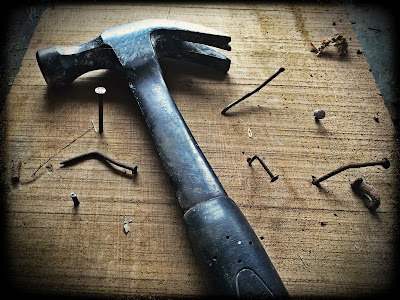 Or better yet dream of parents going out of their way to do so themselves, and of a school system that weaves those sorts of actual life skills throughout their curricula from K-12. We can dare to dream, can't we?